Washington (AFP) – President Donald Trump pledged Thursday the United States would show “flexibility” to “real friends” concerning planned steel and aluminum tariffs, ahead of an expected signing ceremony to formalize the controversial measures. “Looking forward to 3:30 P.M. meeting today at the White House. We have to protect & build our Steel and Aluminum Industries while at the same time showing great flexibility and cooperation toward those that are real friends and treat us fairly on both trade and the military,” the president tweeted. The Republican president surprised lawmakers in his own party in announcing the tariffs, which triggered the resignation of a top economic aide and drew the ire of global partners who vowed retaliation. Trump’s impromptu announcement last week that he intended to slap 25 percent taxes on steel imports and 10 percent on aluminum revived the specter of a trade war between the United States and major trade allies like Canada, a leading steel supplier. Administration big guns Commerce Secretary Wilbur Ross and Treasury Secretary Steve Mnuchin rushed to the cameras to calm market jitters over the proposed duties, which they indicated were still negotiable and would not hurt growth. 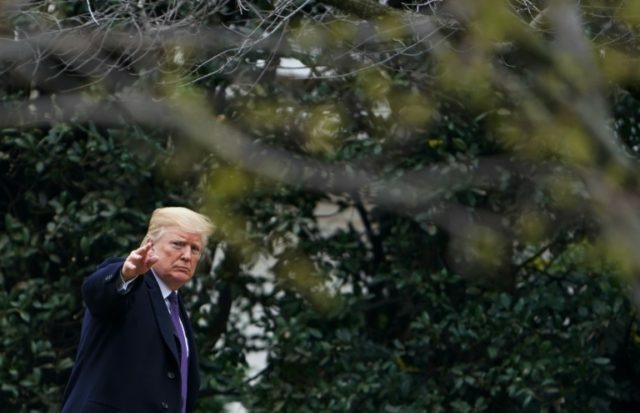 The US would offer temporary tariff relief to Canada and Mexico for 30 days, the Washington Post reported citing senior US officials, breaks that could be extended depending on progress in the ongoing North American Free Trade Agreement negotiations. As markets fell on news that Wall Street favorite Gary Cohn, Trump’s top economic adviser, had resigned from the White House in protest at Trump’s trade decision, Ross tried to calm fears. Mnuchin joined the effort, claiming that the tariffs, which are not yet finalized, would not hurt the administration’s projections for three percent growth. “We’re comfortable that we’re going to manage through this so that it is not detrimental to our growth projections,” he told Fox Business.